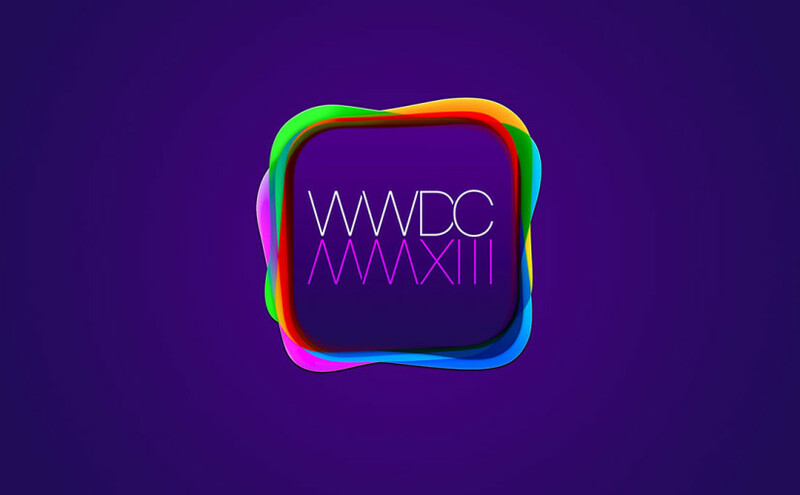 It has been over an year since I last covered anything Apple Related, but yesterday’s WWDC keynote included some pretty exciting news which I felt obliged to cover. New MacBook Airs as well as new Airport Extreme/Time Capsules were announced during yesterday’s keynote. The new MacBook Air feature the latest power efficient Intel Haswell processors, which really bumps up the battery life (from 5 hours to 9 hours on the 11″ MBA and from 7 hours to 12 hours on the 13″ MBA), as well as support for 802.11ac wireless standards. None of this is really surprising, and I wouldn’t be surprised to see a similar update to the MacBook Pro line sometime later in the year. The Airport Extreme & Time Capsule were also updated to support the 802.11ac wireless standards in addition to sporting a more compact (surface-area-wise) form factor. 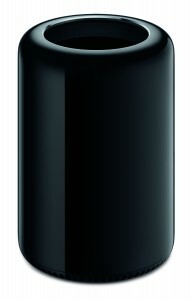 The keynote also offered a sneak peek at the new Mac Pro (finally!) which has been long overdue for a refresh. No release dates were announced except for the “later this year”, typical of Apple product announcements. Besides the techy, geeky stuff which boast of incredible performance and expandability, the Mac Pro has also moved away from the traditional tower design to a more unique design. 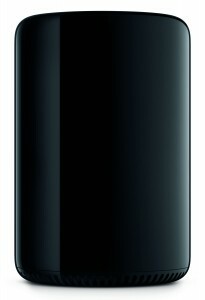 The new Mac Pro is cylindrical in shape and much more compact than its predecessor – a design made possible by the “unified thermal core”. What this means is basically the chips are arranged like the surfaces of a prism (pun intended), with the heat sink located in the centre. 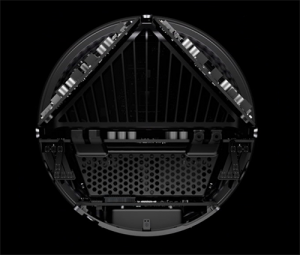 According to Apple, this allows for the thermal cooling capacity to be shared amongst the chips (as opposed to having heat sinks and fans for each individual CPU/GPU). That is pretty revolutionary stuff, though it remains to be seen how it will work out in the real world. If it really lives up to its promises, it might just usher in a new era of CPU “tower” design. Finally ending the trend of naming OS X releases after cats, Mac OS 10.9 is to be named Mavericks, after a popular surfing location in the state of California. The upcoming Mac OS X release was promised to feature enhancements to cater to power users and it doesn’t seem to disappoint. Tabbed finder windows (god-send for those of us on tiny laptop screens), file tagging and better support for multiple displays will definitely help OS X Mavericks find its place in many Mac users’ hearts. 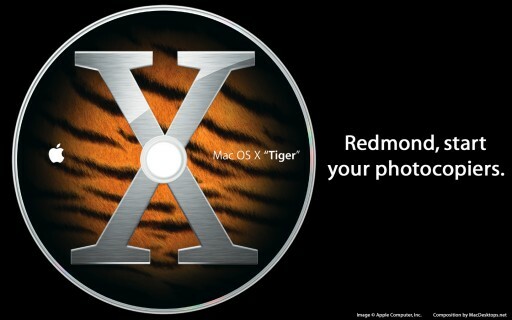 OS X Mavericks has seemingly also brought about an end to the skeuomorphism introduced in OS 10.7. 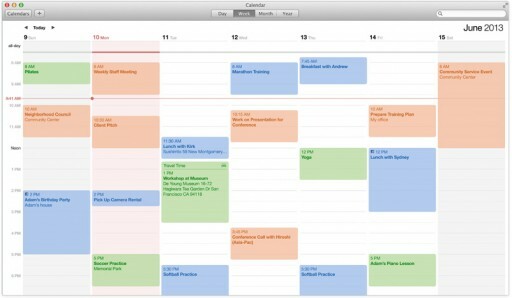 While I wasn’t that big a hater of the leather skinned Calendar nor the yellow legal pad Notes, I felt that the skeuomorphism ruined the sense of consistency across Mac OS X applications. As such, I couldn’t be more glad to see the sense of consistency returned with the new Calendar application in OS X Mavericks. While we did not get to see if the other applications (e.g. Contacts, Notes) has similarly lost their skeuomorphic form, I have high hopes that they will receive a similar makeover. In addition to the UI changes, Calendar has also become more useful with its integration with Maps (previously the location field was pretty much useless), which allows it to calculate travel time and even notify you when you need to leave. However, it remains to be seen how reliably it can perform these functions outside of USA – especially with public transport systems. No more stitched leather… Thank god! More iOS apps has been brought over to the Mac. 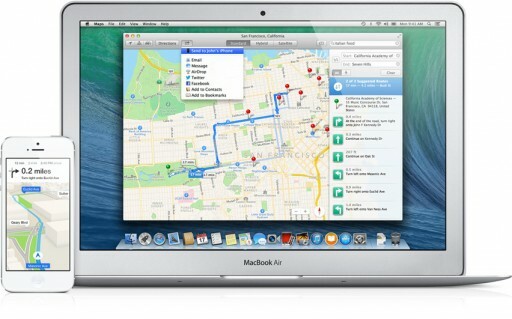 Maps has made its appearance on the Mac – while I have never been a user of iOS Maps, the integration between the Maps applications on the Mac and on iOS might just convince me to give it another try. iBooks is also finally available on the Mac, allowing you to read your eBooks on your Mac. More importantly, it also features syncing of highlights and notes etc., which is a great way to study from your Mac and iPad (take notes in lectures with your Mac and refer to these notes on the go on your iPad/iPhone). 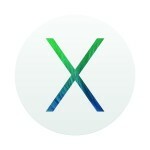 OS X Mavericks boasts over 200 new features – many of them are under-the-hood performance improvements. Enhancements to core technologies promises greater CPU efficiency, better power savings, greater responsiveness (e.g. smoother scrolling, faster wake from sleep). Of course, how these tweaks translate to real world performance remains to be seen when the OS is released to the general public in fall later this year, but given what I have seen so far from the keynote, I can barely wait for fall to come. Another reason why fall can’t come soon enough is the release of iOS 7, which is also slated for fall this year. It was no big secret that iOS 7 would do away with the faux texture that has became somewhat characteristic of iOS since the launch of the original iPhone. While the new look is indeed refreshingly clean, the first thing that popped into my mind was – “it looks like Windows Phone 8!”. Say what you want about WP8’s Metro interface, but it seems like Apple’s UI design team has taken a page or two out of Microsoft’s book, what with the focus on typography, use of flat colour palettes etc. etc. While I wouldn’t go so far as to say Apple ripped off WP8’s (or Android’s) design, it is clear that iOS has certain design influences. Of course, all this does not change the fact that iOS 7 is gorgeous in my opinion (though who doesn’t love Helvetica Neue Light!) – though it does pose a problem: would there be a sense of consistency with the UI interfaces of 3rd party applications? Perhaps it’s the other way round this time? 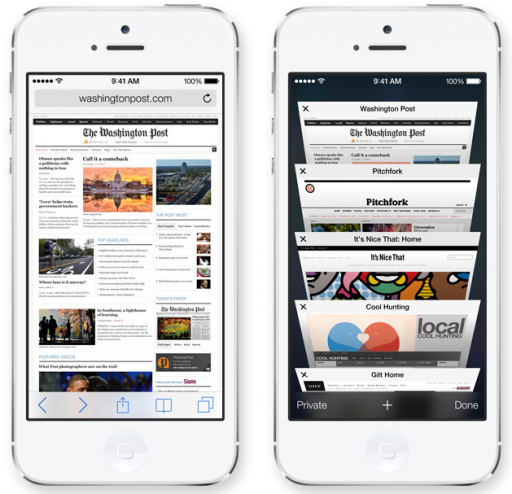 iOS 7 was not all about a design overhaul – it also brings new features to the table. The most notable one would probably be Control Centre – finally, there is an easy way to toggle settings from anywhere within iOS. However, one gripe I have is that Control Centre seems too busy with all the buttons and slider bars and what not. Nevertheless, soon, I no longer have to quit my currently running app and navigate around the Settings app just to turn on Bluetooth, so I am not complaining. Notification centre has also been revamped – now it becomes much more of a personal assistant, pulling in weather info, navigation directions and travel time in accordance to your Calendar events. Of course, once again, how well this works outside of the US remains to be seen, but it looks promising. Multitasking has also been updated – apps can update their content in the background (i.e. no longer should you have to wait for Whatsapp to connect and download new messages when you swipe in from Notification centre) either automatically or via push triggers. Whether this would take a toll on battery life is unclear right now, though I remain cautiously optimistic. Yes! No more typing search terms into the URL field! Safari has also been updated – the most important new feature is probably the new omnibox (i.e. integrated URL and search fields). I have lost count of the number of times i tried to type in a search term in the URL box/typed in a URL in the search box in Mobile Safari. It also removes the limit of 8 tabs (on the iPhone), though possibly at a cost to performance and/or battery life, especially on the older iPhones. iCloud tabs are also shown automatically (?) in the tabs view, which is more intuitive for non power users (currently located under Bookmarks -> iCloud tabs). Siri has also become more powerful, with integration to Wikipedia and Twitter. I look forward to the day when I can query Siri with “Wiki pseudo stratified columnar epithelium” – should be pretty awesome and cool! Of course, iOS 7 feature many other improvements and new features, some of which probably won’t be adopted by the masses. For example, who really used Shared Photo Steams in iOS 6? Or Airdrop on the Mac for that matter? (I have only used it to transfer files between my own iMac and MBPwRD – there is email, Dropbox and thumbdrives for all my file sharing needs) And while Apple tries to be all Instagrammy with the new Camera app and its filters, without an avenue to upload these photos to a mass following (oh come on, no one uses Shared Photo Steams), I suspect that the new Camera app will have a hard time displacing Instagram as the app of choice of all the hipsters wannabes. 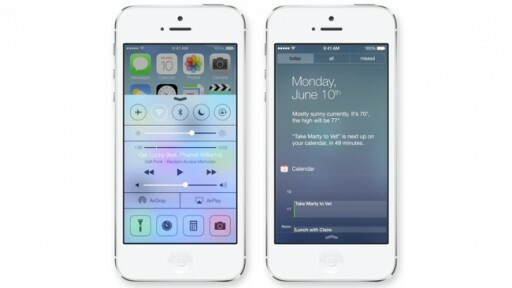 Regardless, iOS 7 promises a new take on the familiar 7 year old mobile operating system. It will have its problems, its critics and detractors, but I believe it is a step in the right direction (as opposed to sticking with the age old tried and tested formula) and that the OS will only get better over time. By the way, I am super hyped about how iOS 7 will turn out on the iPad! Surprise, surprise! iWork has actually gotten an update (well not exactly). Following in the heels of Google Drive and Microsoft Office 365, iWork is now available in the cloud, meaning that you will be able to edit your iWork documents from the web browsers of any OS (works with modern versions of Safari, Chrome and IE – though of course Safari is recommended). It was disappointing that there was otherwise no major update announced for the 4 year old productivity suite, though hints were dropped that an update might be coming later this year. No sign of iLife though. iCloud also gained a new feature called iCloud keychains which basically functions like 1Password for iCloud. For those unfamiliar with 1Password, iCloud keychains helps to generate and remember a random and unique password for each online account (an online security practise recommended many times over) and fills them in for you across your devices. This is an awesome new feature that everyone should make use of when it’s available. iTunes Radio, a Pandora-like service, was also announced alongside iOS 7 – however, it is only set to roll out in the US “with more to follow”. Apple’s new TV ad nicely sums up its corporate vision. “This is it. this is what matters. The experience of a product.” Apple is a company that prides itself on delivering the best user experience, and yesterday’s keynote proves that it continues to remain true to its vision.